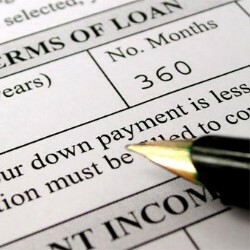 A few years into our marriage, my wife and I were faced with a request from friends to co-sign a loan for them. They were a refugee family from Bosnia that was relocated to our community. We helped them get a new home (and furnish it), helped them get acclimated to our community, learn English, find a job, and get a car. It was a very rewarding experience. The car we helped them buy cost $1,000, and the seller agreed to let them pay $100 a month over 10 months. We thought that was a great deal! After a few months, our refugee family tired of this used car wanted to buy a brand new car. They asked us to co-sign a loan for them because another refugee family they knew had also bought a new car that was co-signed by their sponsor. We explained that we could not co-sign for them and they were extremely disappointed. We couldn’t co-sign because it would mean we’re on the hook for the loan and would be responsible for the entire debt if our friends stopped paying. I’ve always been interested to see that this issue of co-signing is addressed in scripture. I wonder if Solomon, the author of much of Proverbs, had some personal experience with the issue? Or maybe he just observed it in the lives of others. Regardless, it seems like wise advice to me to not co-sign a loan for others. Oh, so what happened to our friends? They went ahead and bought the car with someone else’s help as the co-signer.